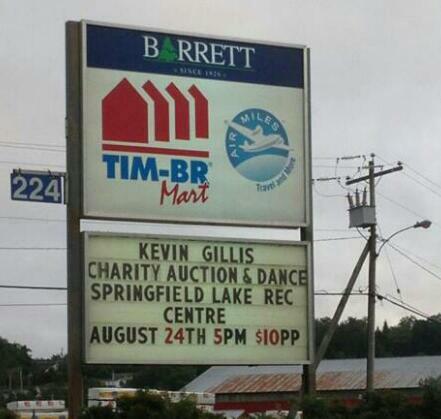 Fundraiser Auction/Dance For Kevin Gillis And Family. Aug 24 #Sackville | Sack-Vegas!!!! Posted by Sacky on August 22, 2013 in Community Events.